This evening I finished reading Counterfeit Gods by Timothy Keller. Success, true love, and the life you've always wanted. Many of us placed our faith in these things, believing they held the key to happiness. The Bible tells us that the human heart is an "idol- factory," taking good things and making them into idols that drive us. 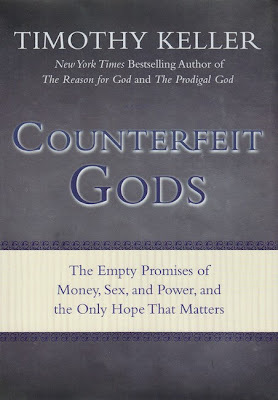 In Counterfeit Gods, Keller shows us how a proper understanding of the Bible reveals the unvarnished truth about societal ideals and our own hearts. A idol cannot just be torn down but must also be replaced. We often replace them with another worldly idol. To find true happiness it must be replaced with God. A top 10 book.